I love love love Harry Potter and love this story line but there are a few things that I see that could be improved. There should be more secondary bonus challenges more often to keep entertained while I wait for the energies to come back. But the biggest and most frustrating is that when I finish a chapter I have to wait a minimum of a week before I can continue with my story... why am I going to take 29 whole weeks just to finish one year... if you allow me to move along faster than it would keep my attention grabbed. 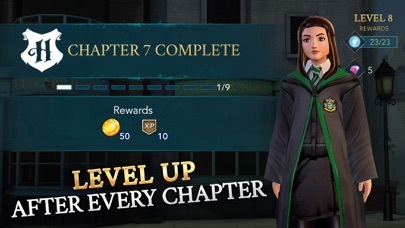 I hate that its so repetitive then it has me wait to do basically the same steps the next chapter. Also, I was so close to getting to year six and when I checked back you added chapters to my already long year so now its going to take upwards of 5 more weeks than anticipated give me a break! Update- been waiting for 2 weeks now for an episode! And no response from anyone. Been playing this game for a year now... I know most people complain about the energy aspect of the game but that doesn’t really bother me. 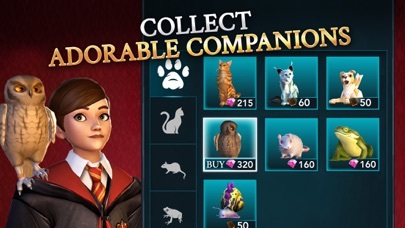 (Although it makes it super hard to complete special events...) what I’m currently frustrated about is that is seems like things cost more or the player isn’t rewarded with as much gold as they used to... And 750 gold for dueling?! 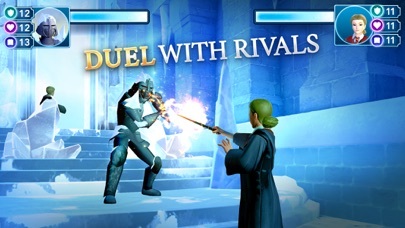 You have to duel like 10 times, using a TON of money for a prize.... not really worth doing since now a player can’t save up while doing the other activities (like gobbstones or hogsmede) like they used to. 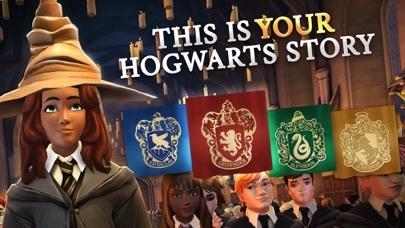 I’m on year five now and everything has basically come to a grinding halt because my stats aren’t high enough to match the storyline (which limits your options) so now I have to do extra classes. And now that things seem to cost more I’ll have to do extra classes to save up money which I never had to do before..... not fun. I really like the game but trying to complete all the events is near impossible, and I think it is for everyone. The energy problem is slowly getting better but still needs more work. I like the new system for gems though, you have to be careful on how you spend them but if you try you can buy almost anything. I love how detailed it is and how much you can do! Do not waste your time! You play event from event. If you don’t get back to the event on time, it gets pulled from you, and you are told “Sorry, too late...bla bla bla BS” You are bummed out after all the hard work and time you put into it right? 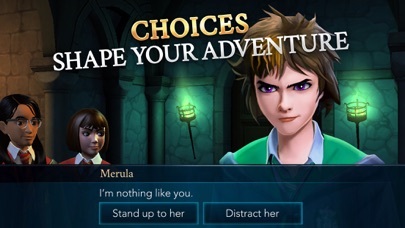 You go to continue the game and it’s like they punish you! Please wait until we come up with new events preventing you from playing for days! Oh they won’t wait for you, but you have to wait for them! This has happened at least 5 times during the coarse of the game. 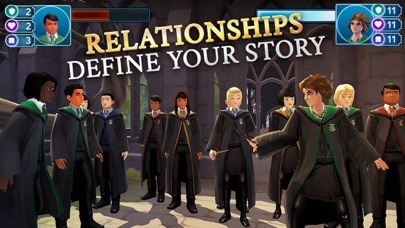 I wish I could put a spell on the makers of this game! Total waste of time and horrible excuses. Secondly, it’s boring, the lessons are boring and repetitive! I give it a big ZERO! Uggg Waste my time! In love with this app but its been glitching on me and not sending me notifications but i dont wanna delete it because i dont want to restart my progress. This game has recently not been letting me get into the game, even when I’m playing on WiFi, and it’s disappointing. Another thing, the stars. It take SO much time just for one star. Four minutes.. and I cant even finish some of my “classes” or other things without those classes ending because I don’t have enough energy. 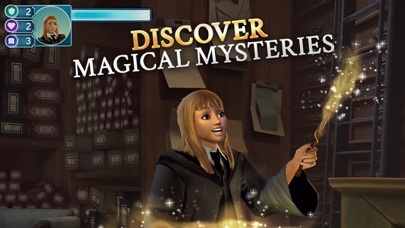 The game is cute and nice to take you back into the world of hogwarts. 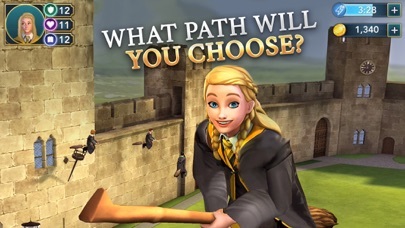 But the classes are boring, all of the events and actual active gameplay are... boring. You just sit there and click on the same stuff over and over. 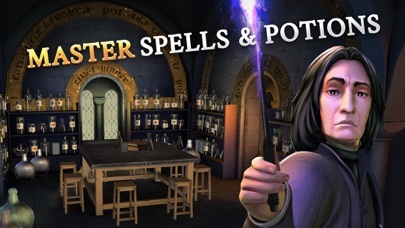 Could be a lot better to add new visuals for each new spell/potion, not just “reviewing” the same class material when it says you’re going to be learning a new spell.